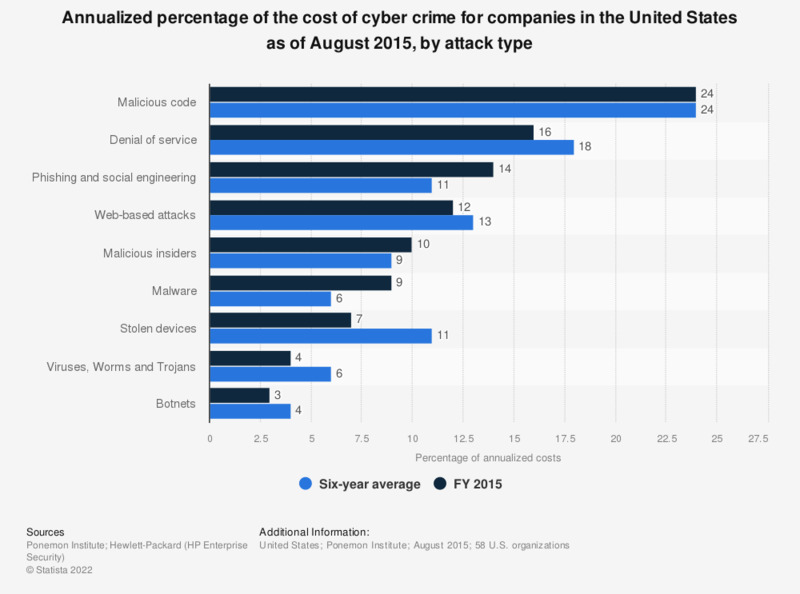 This statistic gives information on the percentage of annualized cyber crime cost of U.S. companies as of August 2015, by type of attack. During that year, 24 percent of annualized costs caused by cyber crime were due to malicious code. Total survey n = 252 worldwide organizations.